Today marks the 40th celebration of Earth Day, and it comes at a perfect time of the year, when all the plants have sprung back to life in the northern hemisphere. 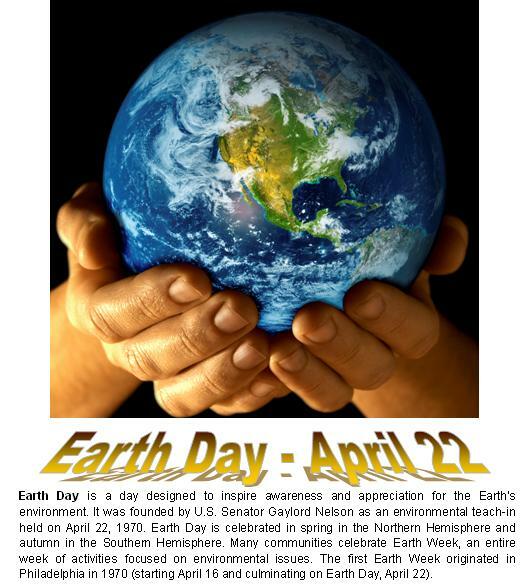 Earth Day has matured into more than just a single day excuse to justify tree hugger, hippie like folks who were associated with it’s cause back in the 1970’s and beyond. Earth Day has blossomed into a year-round lifestyle for many folks, including the main-stream media, such as The Weather Channel, or marketing for companies also, take a look at Target, Silk Soy milk, Pottery Barn Kids, Disney and “Go Green”, this is big business now. Recycle all plastic, aluminum, cardboard, paper, glass, metal, leaves, and plant material. Keeping our air and heating thermostats higher in the summer (76°) and lower in the winter (66°), saves on the energy bill every month also. 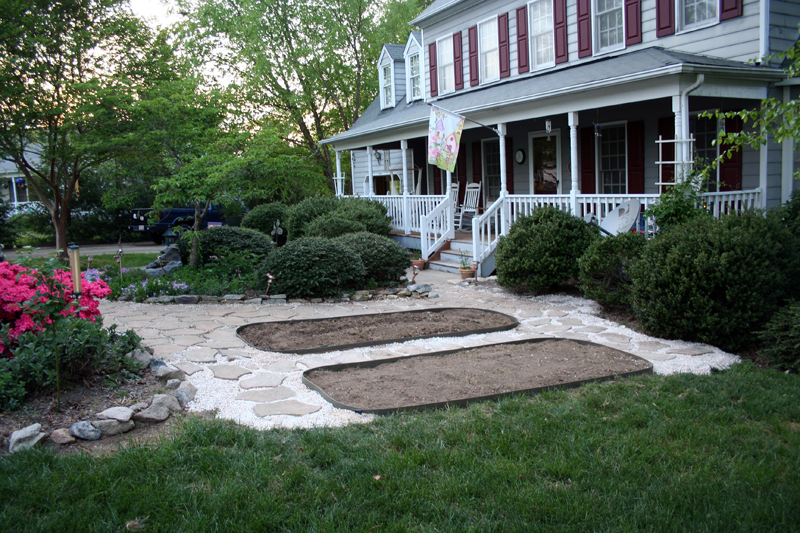 Reuse brown water to hydrate non-edible plants and lawn. Reuse plastic zip type bags and deli meat containers for storage, dozens of reuses from each. Use “Green” reusable shopping bags for all grocery and market purchases. We also get back a five cent credit on each green bag we use at our local Lowe’s grocery, which goes toward our Green Points savings. Walgreen’s green bags are only .99 cents each. Grow many of our own herbs and vegetables, fresher, healthier, organic, and costs much less. Purchase locally grown produce at the farmers market. Wear outer clothing that is not soiled or dirty several times before laundering. Recycle organic kitchen waste for garden compost. Use filtered water to replenish reusable water bottles instead of buying cases of disposable plastic water bottles. 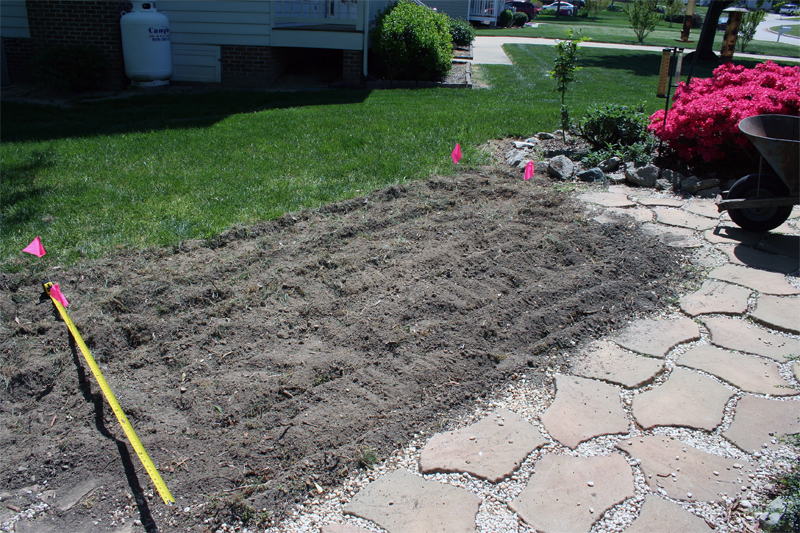 As part of item number six above, we have grown our own tomatoes and fresh kitchen herbs for the past six years or so. Moreover, last year we tested a crop of container tomatoes on the ground set next to the paver path in the front yard, and they did fairly well. So this year I decided to expand the front patio with adding two 4 X 10 foot garden beds to put vegetable plants into the ground. This area is on the south side and gets between six and eight hours of direct sun a day, so it makes a great spot for our “Eat The View” kitchen garden. Maybe it’s the fact I’m the child of market gardeners but I can’t believe you’ve only been doing this for 6 years. Good for you for eventually getting around to it and for adding to it this year. I keep digging up more lawn each year myself. I tried celeriac for the first time last year. We had a bad year for it and ended up with bulbs with maybe 1/2 cup of edible matter but it sure was good. Wow, impressive! I wish we got that much direct sun a day at our house! I love the garden, and what a beautiful home! The work you’ve done is inspiring! 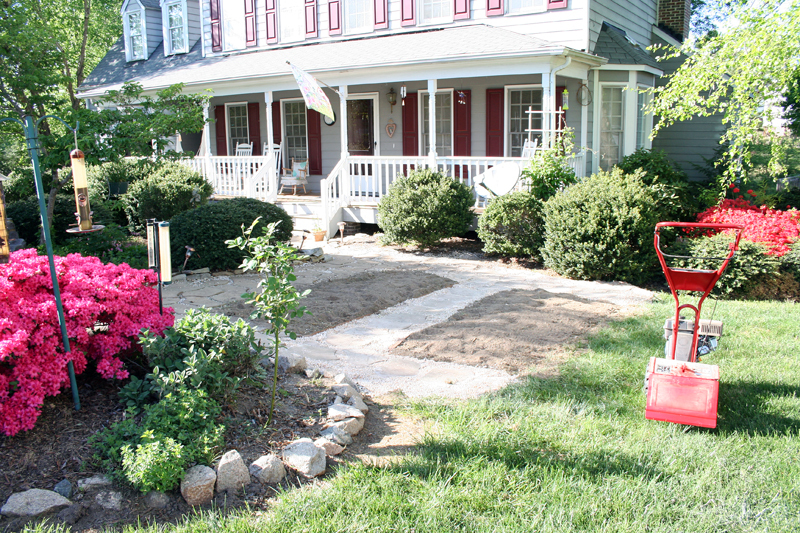 (Just getting those pavers down must have been a bit of a “job”)–just love it! Impressive article and the Earth Need Help!! I wish I could have a garden but it’s hard to have one when you live in a huge apartment complex. I just love your garden! That is fantastic! We started blocking out spots as well.